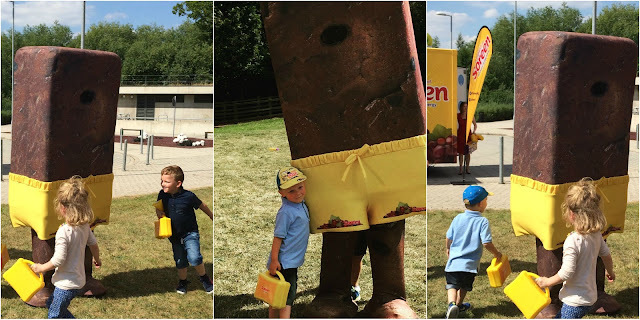 Over the summer we were invited by Soreen malt loaf to a fantastic sports event encouraging children and adults to get active, we love Soreen, and the boys love the smaller snack size cakes for there lunch boxes, meaning we were really excited to be involved. We were also really excited to meet the lovely Alex Danson – Olympic-medal winning hockey player who launched the Soreen Squidgy Fun campaign. The event was held close to home at Loughborough university So myself and the boys travelled along to it to find out what it was all about. I am personally not the biggest fan of sports nor was I the best at school when it came to sports I always felt very self conscious about doing them - and making a fool of myself, which is probably one of the reasons I have always battled with trying to loose weight myself, so when it come to the boys I want to encourage them to be as active as possible they are both going to be doing swimming lessons very soon and have both just taken up dance lessons - which I am embracing after all children learn from there parents - I am doing my best to join in with anything and everything they want to do even if it means conquering my own self conscious fears. The boys are very active Adam more so than Liam, but this is maybe because Liam is facing his very own struggles with life. I do take them to the park often and they are always on there scooters or a bike, well Adam is anyway, however I do try to encourage Liam as much as possible to get involved, they both always have lots of energy to use and the more activities they do the better, in my opinion this is where Soreen Squidgy Fun comes into play the afternoon was spent learning about how to keep the whole family active through playing games. 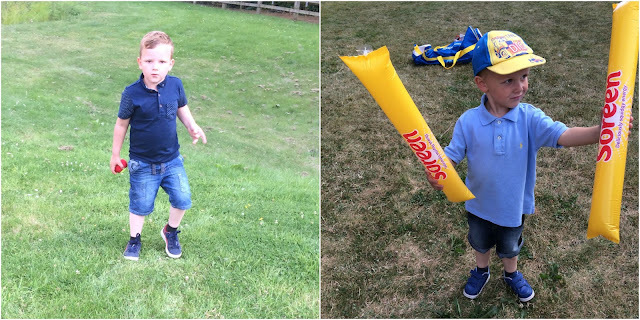 Soreen have joined up with the Youth Sports Trust to encourage families to join together have fun and get active. Soreen have put together some seriously fun squidgy games that you can Download For Free and play anywhere no matter what the weather, you can play them inside or out and you don't need any expensive equipment or expensive memberships to clubs, just everyday things most people have lying around the home. The first game the boys played was the "Grab and Go" the idea of this was you ran to the end of the pitch as fast as you could collected and object and ran back to your station (which was a little round dot on the floor) then the person with the most objects at the end of the game won. unfortunately Liam had a little bump with another child and ran straight into them, this knocked his confidence a bit so he decided to sit the rest of the game out, however Adam was having a great time I don't think he quite got the hang of it though as he was steeling everyone Else's objects! 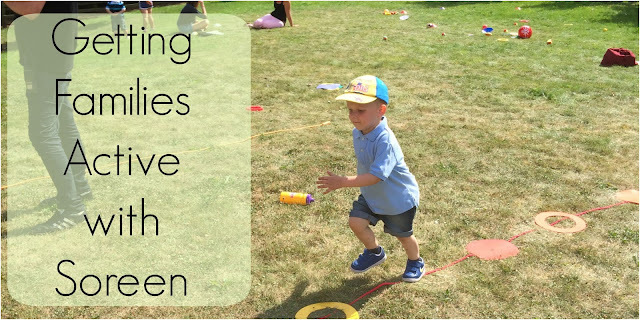 It was great fun though and although Adam was the clear cheat it didn't matter as the whole point is that children are getting active and having fun. 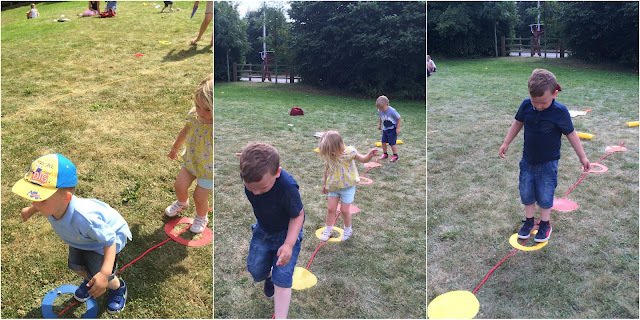 After this game we played another, which involved the children taking it in turns to jump the stepping stones, which was simply a rope with round circles laid on it, now at home this could also be easily done with some string and paper as the stepping stones. The older children really got into taking it it turns but the little ones like Liam and Adam were quite happy just running and jumping from step to step in fact this seemed to keep the little ones interested for quite sometime - but all great for exercise and keeping fit. Next we cooled down with a little bit of yoga lead by the lovely Alex Danson. To end the day we met a another very special person it was Mr Squidgy ..... YaY! I have to admit I have never seen the boys quite so excited they absolutely loved him he came out and said Hi and the boys were all over him, he was there to encourage them to carry on being active he got all the children running round and after that they turned on the music and they all did a bit of dancing - not forgetting a little conga added in at the end! Soreen and the kids youth trust were really good throughout the afternoon there was plenty of Soreen given out to keep everyone well fulled and plenty of drinks on hand as it was a gloriously hot day. 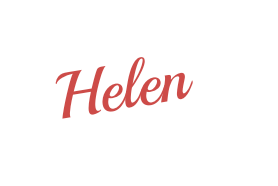 The whole idea of the games, dancing and little bits of running are all really, really simple ideas you can use at home to keep the whole family active and not only that to have lots of fun! 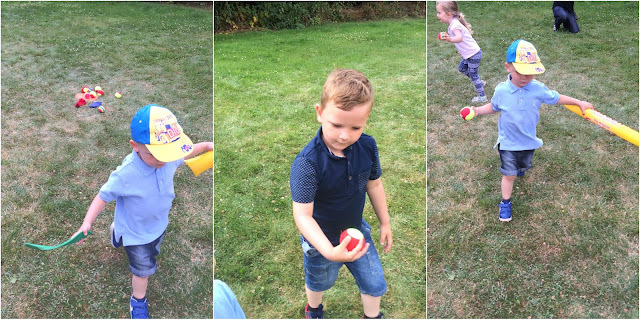 Our house always seem to be full of lots of children, I will definitely be using the "Grab and Go" game to keep them entertained its well worth having a go at its great fun! 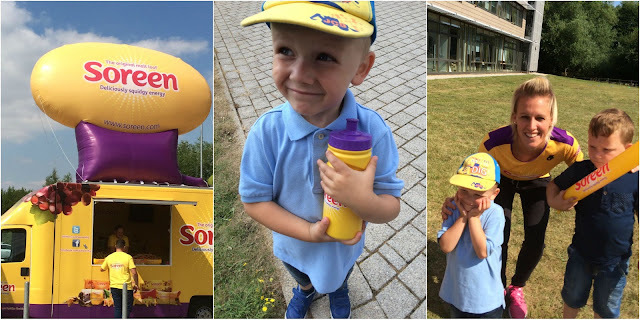 Disclosure, we were invited to the Soreen event in return for this article - we loved being a part of the day.